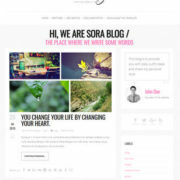 Sora Coin Blogger Template is a specially designed blogspot theme, made for specific niche. 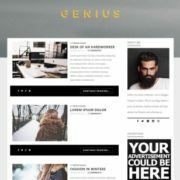 This template has been developed for keeping cryptocurrency and ico in mind. 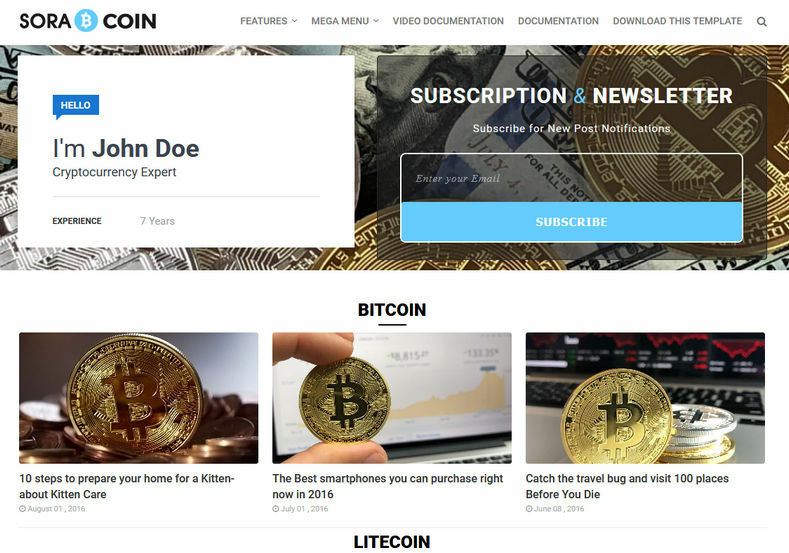 These days coins like bitcoin, litecoin, ripple, and etheruem are very trending and people wanted to share their knowledge and experience through their blog but they couldn’t find any suitable theme for their blog. 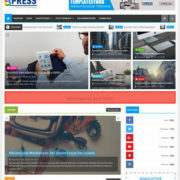 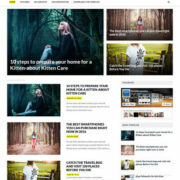 This is a first theme of its kind for blogspot platform. 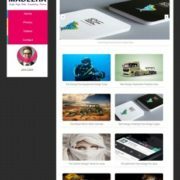 It is a fast loading theme with various unique features like featured widgets and coin table, it also comes with a hero header that includes a author introduction widget and a subscription widget. 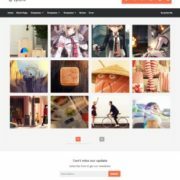 This is a fully responsive and highly optimized theme, it performs excellent on search engines so that you can make your blog rank high with absolutely no efforts. 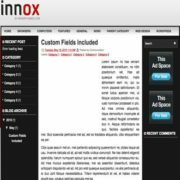 It comes in clean color combination of blue, white and black. 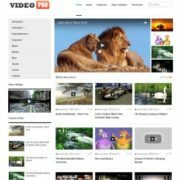 Simple, Fast Loading, Responsive, Seo Ready, Adapted From WordPress, Ads Ready, Retina Ready, Mega Menu, Social Bookmark Ready, Page Navigation Menu, Post Thumbnails, Clean, Browser Compatibility, Blue, Black, 3 Columns, Elegant, White, Stylish, WhatsApp Sharing, Free Premium, 1 Right Sidebar, News, Technology, Blogger, Slideshow, Blogger Templates Free Download Html, Business, Business and organisation, Business and organization, Email Subscription Widget Ready.